Folklore and urban legends have, over the years, impacted human behavior and played a critical role in shaping our belief in the existence of the paranormal. While to many these folklores are figments of imagination, most urban legends stem out of human frailties. After successfully tackling various topics like suicide, violence against women and children, and entrapment, COLORS’ solution-driven show, Code Red will now throw light on some of the most popular paranormal occurrence in the country and narrate the untold story behind every supernatural incidence through a brand new series titled Talaash. 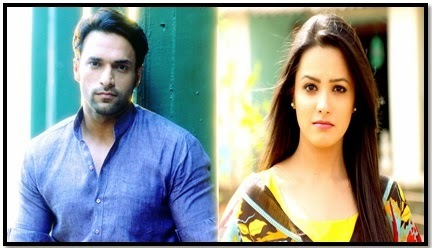 To take viewers through tales that have influenced their mindsets, COLORS has roped in Anita Hassanandani and Shaleen Malhotra. Produced by A Lost Boy Productions, Code Red’s Talaash series will narrate urban legends and popular ‘hearsay’ that have impacted the society and will go on-air starting 20th April, 2015 at 10:30 PM on COLORS. Code Red Talaash touches upon the unknown and the reasons why these paranormal energies exist while building empathy for them in the minds of the viewers. The series highlights the lasting impact that injustice has had on the minds of those offended. Very often, the impact affects that soul of the person wronged; much after the person is deceased. An unusual yet humane way of addressing the unknown, Code Red Talaash aims at demystifying popular myths and urban legends that have been passed along generations. Some of the tales that will be revealed on Code Red’s Talaash during the course of the show include an autorickshaw story based in Mumbai’s suburb of Borivali, a legend about a water-well in Rajasthan, and even the true story behind the ‘unsafe’ claim for Delhi’s Cantonment Road. Television’s well-known faces such as Asha Negi, Shilpa Saklani, Suhasini Mulay, Sana Amin Shaikh among others will play key roles seen during the course of the show on Code Red Talaash. Arti Singh & Ayaz Khan break up after 3 years..
Shakti Arora pressurised to quit Nach Baliye? Vishal Singh to enter Comedy Nights With Kapil..
Shweta Munshi ended her two-year marriage..
Helly Shah and Tanima Sen mobbed by fans..